Back to his Wallsend roots - It has been a while but Sting has released a new album of original material. David Whetsone welcomes The Last Ship which heralds a forthcoming musical play of the same name. 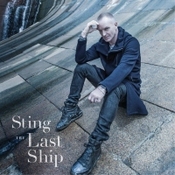 Sting's new album, The Last Ship, brings to an end a famous songwriter's eight-year fallow period, we are told. That really is hard to believe, if only because the man once known as Gordon Sumner always seems to be so busy. The gigging continues relentlessly along with the experimentation and reinterpretation. In 2009 came the studio album 'If On A Winter's Night...' which ushered age-old folk songs and lullabies into the 21st Century. There was a memorable gig at Durham Cathedral. The following year brought 'Symphonicities', classical settings of hits such as 'Roxanne' and 'Next To You'. Again there was a gig, this time at Sage Gateshead with the musicians of Royal Northern Sinfonia. But this is new - and more than welcome if you are a Sting fan. Even when The Police were in their pomp and a strutting arrogance accompanied the peroxide hair and a fondness for pretentious-sounding albums names (Outlandos d'Amour? ), there was no getting away from those songs and that voice - that soaring, angst-ridden tenor. The marriage of material and performance seemed made in... well, if not heaven then a very good place indeed. And the songs - from the Police days and as a solo performer - are ever-present, the true mark of the classic. Sting has not lost his touch. 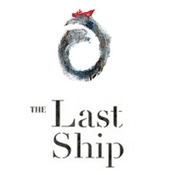 The Last Ship, opening with the title track, is a seductive blend of voice, words and rhythm, the latter rolling like a gentle swell against a harbour wall. "It's all there in the gospels, the Magdalene girl / Comes to pay her respects, but her mind is awhirl..." The religious imagery, ingrained since Sting's Catholic upbringing on Tyneside, sets the tone for an album that is by turns reflective, stirring and elegiac. It's all linked, as you may already know, to a musical play, also called The Last Ship, which evokes a Tyneside past. But also to The Soul Cages, Sting's very personal album of 1991 harking back to the shipyards and written shortly after his father died. During the gestation period there have been run-throughs in Newcastle- at Live Theatre - and in New York. The Last Ship is scheduled to open next year on Broadway where, like all new theatrical ventures, it will be at the mercy of critics and audiences. The songs were written with the show in mind. It was the spur, the inspiration. But as Sting revealed after the New York try-out, the world of musical theatre is - has to be - ruthless. "You can't use 30 songs in a musical theatre production," he said. "It doesn't need it. So I have a lot of excess songs. And that process is interesting because every song will fight for its life; every couplet fights for its life; every verse fights for its life; every refrain, every bridge. "Unless it's moving the story forward, moving the narrative forward, they get rid of it. And that's kind of cruel and painful if you've spent a lot of time writing a song and crafting a song." Having accepted the brutal necessity for pruning, Sting sought a "larger constituency" for the excess material - an album to give people an idea of the show but which would stand along, "a part of my artistic need and my artistic process". Good work is never wasted, he reasoned. So provision was made for a new album - "this cradle, or this graveyard if you like, for songs" - that people could visit whenever they wanted. It's no graveyard, Regardless of what they make of the album in America or London, from a North East perspective it has a spine-tingling ring of familiarity. It gives a platform not just to Sting and his songwriting skills but to guest artists and collaborators who, similarly, have musical roots in this part of the world: Kathryn and Peter Tickell; the Unthanks sisters, Rachel and Becky; The Wilson Family - Mike, Stephen, Tom, Chris and Ken - who specialise in harmony singing but here invoke the sound of a shipyard workforce in unified, full-throated roar. On the stirring song 'What Have We Got?' you will hear Rachel Unthank's clogs and the voice of another fine North East singer, Jimmy Nail, supposedly lured out of retirement by Sting. The song, whose title comes from the tub-thumping chorus line, has echoes of an earlier musical, South Pacific, and it's "What ain't we got? We ain't got dames!" As a boy, Sting listened to this sort of stuff. His mum was a fan. The album, produced by Sting and long-time collaborator Rob Mathes, was recorded and mixed in New York, London and Newcastle. Its rich texture comes from the talents of the aforementioned. Some of the songs will make the show, others won't. An early victim of the pruning, it seems, was 'And Yet', a beautiful song about Wallsend: "This town has a strange magnetic pull..."
You can laugh and say "Funny, haven't bumped into Sting on the High Street lately", but this album makes clear how deeply this exiled Geordie does feel about his old home town. 'Language of Birds' is another beautiful ballad full of North East resonance: "Your old man had a cage for his pigeons / But that's really where he kept his soul..."
As an album, The Last Ship- 12 tracks - including a final reprise, on the standard release; more on the deluxe - is both tough and tender. Whatever happens to the show, it's a lovely listen that can bring a lump to the throat.